She is here! My little Granddaughter, Rose Beatrice, arrived 27th May, born 4 weeks before she was due. She is utterly beautiful and we are all besotted by her perfect ‘tiny-ness’ even though she weighed in at a healthy 5lbs 8oz. 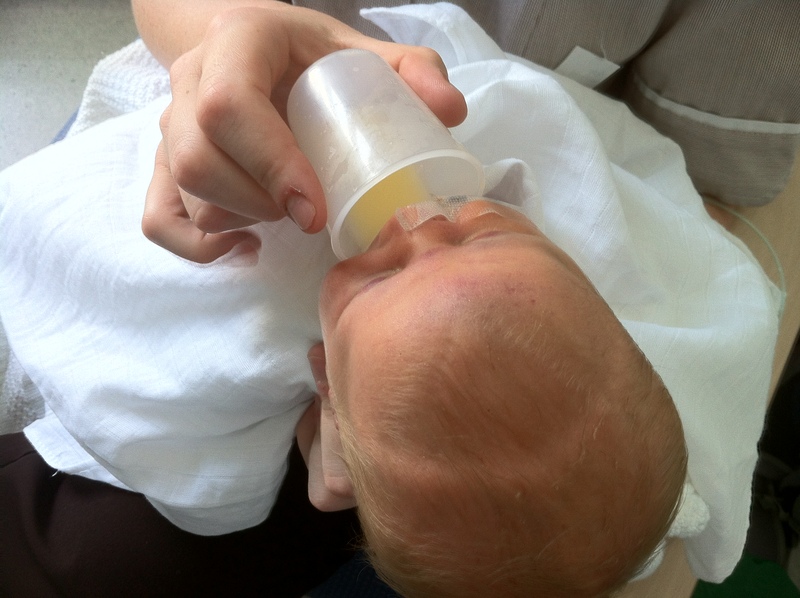 This is one of the first pictures and shows her taking her mother’s milk from a cup to build up her strength for suckling. Notice the perfect fontanel line on her head like a halo. Congratulations Caro! She’s beautiful .. Thanks Morvah….she is indeed an angel!